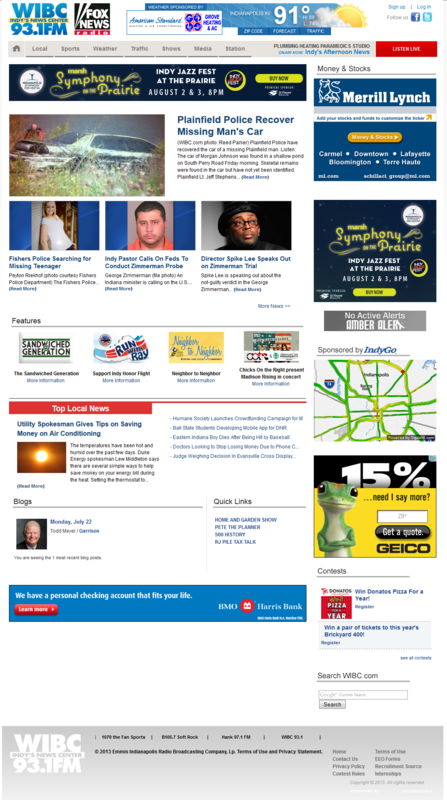 Standard advertisement that includes a client message with a link to their site. Banner ad advertising supports the following file forms: Flash, animation, gif, jpg, 3rd party tags. The WIBC homepage receives a three-month average of 47,477 homepage views per month from 34,959 unique visitors. 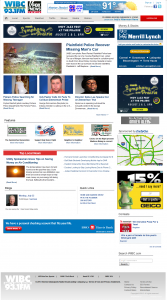 Sizes for banner ads are either 970 X 90 or 300 X 250. Clients can have their tile ad lead to an internal jump page that we create, customized according to the client’s needs. Content can be as simple as text and photographs, or can include multimedia, such as audio or video. Each station sends e-mails to its database once every week with important station and local information concerning events, promotions, contest and web features. Our databases are permission-only, meaning the listeners have given us the OK to send them e-mails. 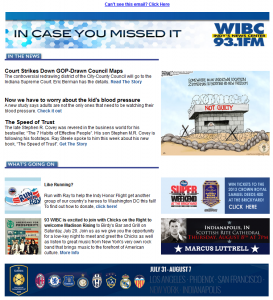 There are over 13,000 members in WIBC’s database.